HAIR NUTRIENTS ROYAL JELLY SHAMPOO PROFESSIONAL has been formulated for devitalized hairs and with problems of alopecia. Provides strength and volume to hair. HAIR NUTRIENTS ROYAL JELLY SHAMPOO PROFESSIONAL has been formulated especially for devitalized hairs and with obvious alopecia problems. 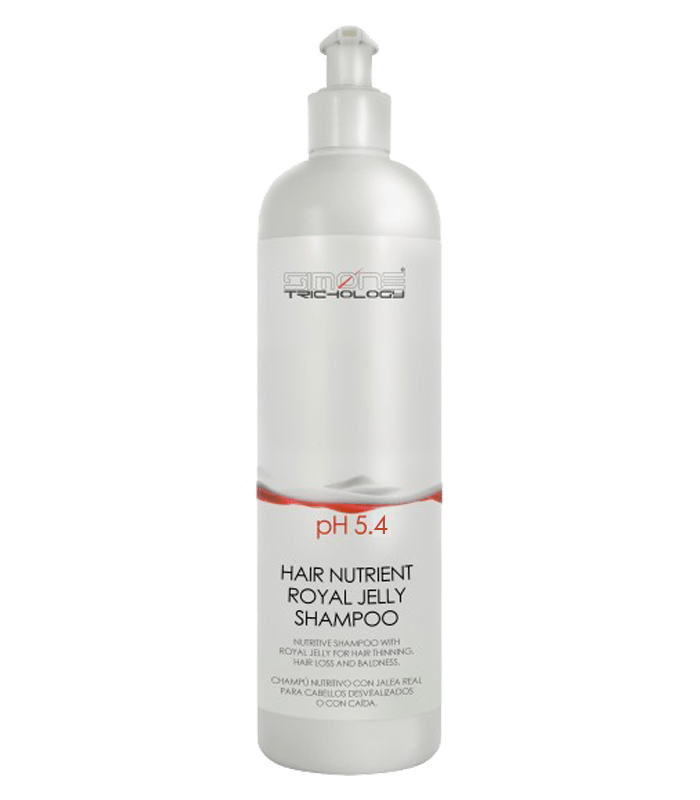 HAIR NUTRIENTS ROYAL JELLY SHAMPOO PROFESSIONAL provides strength, volume and force thanks to its multivitamin essential complex, elaborated with the 11 most important vitamins for hair (pp, h ‘, h, f, e, c, b2, b5, b6, b12, a. ), all of them contributed by the royal jelly.